Online Slimming store Slimming.com has finally launched with some very cheap and competitive prices for all the well known and popular slimming pill and diet tablet brands. 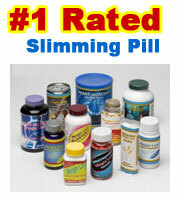 Slimming.com are authorised to supply the following slimming tablets. Alli was introduced to the UK in the spring of 2009 amid a wave of publicity. High street stores such as Boots, Superdrug and Tesco’s were sold out of their initial stock levels within hours of the fat blocker going on sale. 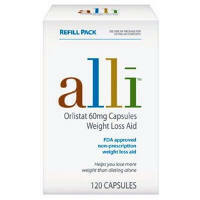 Alli can stop the absorption of fat from food consumed it is clinically proven to help you lose 1lb of weight for every 2lb you lose… theoretically helping you lose an extra 50% of weight in addition to your own efforts! Purchasing Alli is not entirely straightforward – if you were to purchase from a high street store you are required to complete a form. If your BMI (Body Mass Index) is over 28 you are eligible, under 28 and you could be refused. However, ordering Alli from Slimming.com is far less complex, a simple online form is required but does not present a potential embarrassment factor of having to be weighed in your local Boots or Tesco store. Lipobind is quite probably the best known slimming pill available over the counter in Britain. 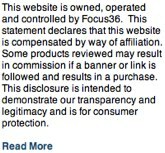 It has been available to buy without prescription for several years without the need of a prescription. Lipobind is a fat binder, the active ingredients are completely natural and can stop (just as with Alli) fat from being absorbed by your stomach. Lipobind has many slimming success stories attached to it – both real life and the in the celebrity world with endorsement from former Eastenders actress Lucy Benjamin, TV personality Katie Hill and model Melinda Messenger amongst its advocates. Lipobind can purchased for as little as £12.45 per packet. 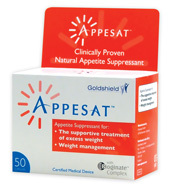 Appesat is a natural appetite suppressant that can reduce your need and want to snack between lowering your daily calorie intake substantially. 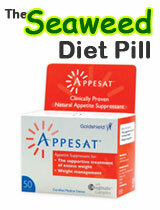 Appesat is a natural slimming product based on seaweed – if taken before food the active ingredient can stimulate hunger ’sensors’ in the stomach wall, that send a signal to the brain telling it that the stomach is full. TV personality Vanessa Feltz claims Appesat was responsible for her recent slimming success. To mark the launch of Slimming.com every customer will receive free gifts with every online placed. In addition if you sign up to their monthly newsletter you will receive a free weight loss hynosis CD.